Nissan Motor Co. Chairman Carlos Ghosn is suspected of having used multiple residences owned by the automaker without reporting that benefit as part of his income, sources familiar with the situation said Tuesday, as details begin to emerge regarding allegations against him over financial misconduct. The new details — over his use, without charge, of properties in the Netherlands and three other countries — were revealed the day after a dramatic fall from grace by the 64-year-old, who has been a towering figure in the automotive industry. Tokyo prosecutors believe the costs shouldered by Nissan should have been reported in securities reports as part of the remuneration he received from the company, according to the sources. 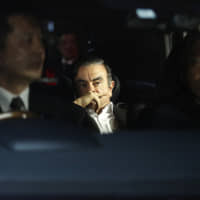 Ghosn, who is also chairman of Renault SA and Mitsubishi Motors Corp., was arrested Monday on suspicion of violating the Financial Instruments and Exchange Act by understating his pay package in Japan by a total of about ¥5 billion over five years from 2011. In the five-year period, the prosecutors believe Ghosn actually received a total of nearly ¥10 billion in salary, but Nissan’s annual securities reports show that his remuneration amounted to about ¥4.98 billion. 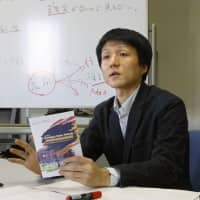 Prosecutors and Nissan officials have struck a plea bargaining agreement under which the authorities could decide either not to indict, or to pursue lesser charges or seek lighter penalties, if suspects or defendants cooperate in investigations, according to the sources. 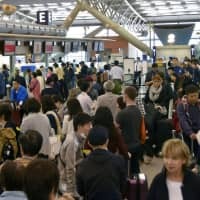 It is believed to be the second time the system has been used since Japan’s revised criminal procedure law entered into force in June this year. In July, prosecutors elected not to indict Mitsubishi Hitachi Power Systems Ltd. after reaching a plea bargaining deal with the company over a case involving bribery by one of its employees of a Thai public servant in relation to a local power plant project. On Monday, Nissan said it intends to dismiss Ghosn, one of Japan’s highest paid executives, and Representative Director Greg Kelly, who allegedly conspired with the chairman, at a board meeting to be held Thursday. Nissan said Ghosn’s wrongdoing and Kelly’s “deep involvement” were uncovered by an internal investigation conducted over the past several months following a whistleblower report. One analyst said the dramatic arrest of the two top executives seems to have been well prepared in advance. “It looks like a coup d’etat, orchestrated by insiders who are against” the leadership of Ghosn and Kelly, the analyst said. Kelly, a former lawyer who entered Nissan’s North American arm in 1988, had tremendous influence within the automaker as a confidant of Ghosn, according to company officials. At a news conference Monday, Nissan CEO Hiroto Saikawa said Kelly “continuously acted as a close aide of Ghosn” and “controlled the company” backed by the chairman’s authority. Kelly, 62, became a corporate officer in 2008 before eventually assuming the post of one of the firm’s three representative board members. The Tokyo prosecutors have not disclosed whether Ghosn and Kelly have admitted to their allegations. The violation of the financial law could entail a punishment of up to 10 years in prison, a fine of up to ¥10 million or both. Under the law, a company could face a fine of up to ¥700 million. In 2010, Japan began requiring listed firms to disclose how much they were paying board members if their remuneration exceeded ¥100 million. 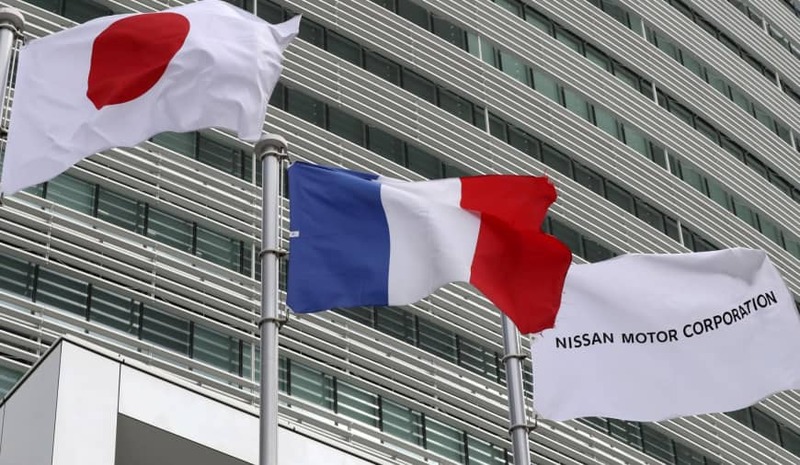 Ghosn has been well-regarded for turning around Nissan, which was on the verge of bankruptcy in late 1990s, through a capital alliance with Renault. Known as an aggressive cost-cutter, he was appointed chief operating officer of Nissan in 1999 and became president the following year. 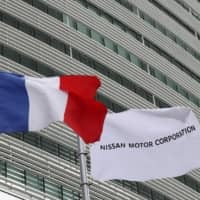 The Tokyo District Public Prosecutors Office’s special investigation squad has raided Nissan’s headquarters in Yokohama as part of the investigation.